Are you caring for an aging loved one or preparing for your own retirement years? Join us for an empowering day of information about senior care resources in a low-pressure environment. Hear from top experts in our in-depth breakout sessions and at the vendor expo! 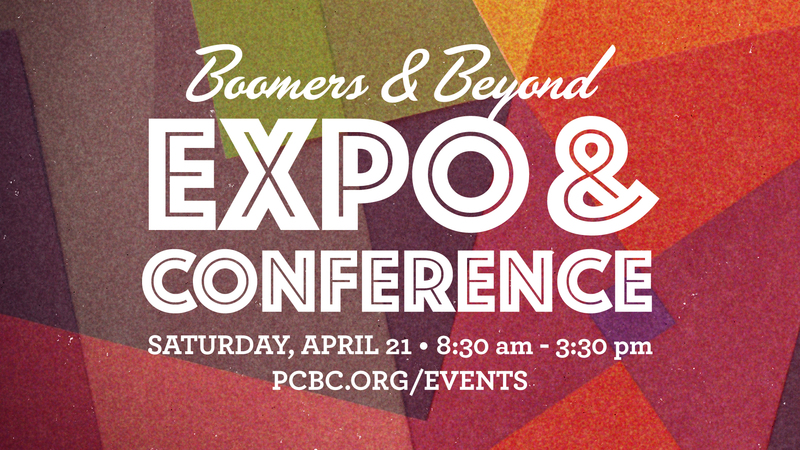 Whether you’re a boomer or senior, caregiver, or service professional, the Boomers & Beyond Conference & Expo is for you! This seminar will provide encouragement and support to equip parents/others who are dealing with adult children who have chosen unproductive life processes. Jimmy Storrie is the founder and leader of Life Recovered, which serves ministry leaders through mentoring, counseling, retreats and seminars. Jimmy has earned a Bachelors in Bible from Howard Payne University, a Masters in Religious Education from Southwestern Seminary, and a Masters in Professional Counseling from Dallas Baptist University. He and his wife Amy have been married for 30 years and have three adult daughters and one son-in-law. Social Security will likely be the foundation of your retirement income. Before you retire, it’s important to understand your options regarding Social Security and the impact your decisions have on your retirement. This seminar will discuss how Social Security fits into your retirement income plan, when you should consider taking benefits, and tax considerations. Michael Taysom joined Edward Jones in 2007. His nearly 20 years of experience and training enable him to help clients pursue their serious, long-term financial goals through comprehensive, personalized investment and retirement income plans. Mr. Taysom has been consistently recognized as a top Edward Jones Financial Advisor and is recognized as being in the top 10% in client satisfaction. Mr. Taysom currently holds Series 7 and 66 securities registrations with Edward Jones. In addition, he is licensed with the state of Texas (and others) to offer life and long-term-care insurance. Learn about how lifestyle influences your risk of developing dementia and what steps you can take to reduce your risk. Michelle, a member of Park Cities Baptist Church, is a board-certified family nurse practitioner at Texas Alzheimer’s and Memory Disorders at Presbyterian Hospital in Dallas. She is dedicated to providing quality care and maximizing the overall health of her patients. Prior to joining Texas Alzheimer’s and Memory Disorders, she worked for fourteen years in women’s health and then in pain management. With her unique medical and educational background, she is well equipped to meet the medical, educational, and supportive needs of patients facing memory loss. This seminar will serve as a “how to” guide for hiring caregivers. Learn best practices on finding, interviewing, and retaining the best caregivers for your loved one. Loe Hornbuckle is the CEO and founder of Sage Oak Assisted Living and Memory Care. Founded in 2015, Sage Oak is “the boutique assisted living company.” It provides small, intimate, home settings that allow those who need a little extra care to receive the love and dignity that they deserve. Loe is also active in teaching and educating through his partnership with Residential Assisted Living Academy based in Phoenix, AZ. He and his wife Jordan live in the Oak Lawn are with their two dogs, Daisy and Tiggy. Walk in the footsteps of your loved one as you experience firsthand what it’s like to have dementia. In this simulation, you will wear devices that replicate many of the common difficulties experienced by older adults, as well as challenges specific to dementia. You will then have the opportunity to attempt everyday tasks and will experience a taste of life as an older person with dementia. Following the virtual dementia tour, you will talk through your experience as a group. This exercise is very helpful as it allows you to better empathize with your loved one’s struggles. What care options are available for seniors? What do I look for when touring a community? With so many options, how do I know what is right for me? Join Paul Markowitz as he provides an overview of the different senior living options available, shares the top 10 questions for families to ask when touring, and shares the touching story of his 59 year old mom who was diagnosed with Alzheimer’s Disease and how this experience led him to found his company. Paul Markowitz is the founder of Senior Living Specialists, a free service that helps families facing the stressful situation of finding the appropriate long term senior living option. Senior Living Specialists has been featured on CBS News, D Magazine, and the Dallas Morning News. If you want to invest in and impact the lives of your grandchildren, work hard at building a strong relationship with and invest in your adult children. How do the Scriptures address this subject? What are the “best practices” essential to building strong relationships with and supporting your adult children, the parents of your grandkids? How will your relationships with your adult children impact your grandparenting? Hal Habecker is the founder of Finishing Well Ministries, which seeks to develop strategic partnerships with churches, parachurch ministries, and institutions for the purpose of mobilizing senior adults for the kingdom of God and the local church. Prior to launching Finishing Well, Hal served in the Christian Medical & Dental Associations, then as Senior Pastor at Dallas Bible Church for 21 years. He and his wife Vicki have been married for 41 years and are the proud parents of three adult children. Learn how to identify the 10 warning signs of caregiver stress and discuss tips and tools to help cope with that stress. Hollie Glover is a Licensed Professional Counselor with more than 25 years of experience in education and counseling those of all ages. She holds undergraduate degrees in Education and English from Sam Houston State University and a Master’s Degree in Counseling from Dallas Baptist University. She is passionate about supporting and educating families affected by dementia and end of life concerns. June Kim is passionate about educating the community about their insurance options. Her desire is to help individuals make the best informed choices when it comes to their healthcare. She has her BA in Psychology from University of Maryland and her MBA from TWU. She is very involved in her church and in her time off she enjoys traveling and reading.